This book examines the rise of welfare markets in Western societies and explores their functioning, regulation and embeddedness by addressing the particular field of old age provision, including both retirement provision and elderly care. It goes beyond a mere social policy analysis by investigating major cultural underpinnings of the new (quasi-)markets, with these underpinnings embracing collective normative representations of how societies (should) institutionally handle old age. 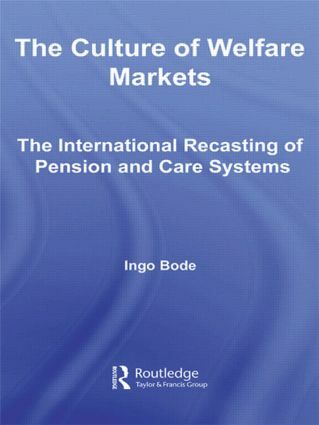 The book looks at whether pension and care systems are converging under the influence of globalization – with marketization being a key phenomenon – and to what extent this is creating a transnational culture of welfare markets. This book, the first book to systematically describe and analyse the phenomenon of welfare markets, elucidates the complex cultural underpinnings of care and pensions systems in an era of marketization, arguing that we are facing a cultural struggle over the way late modern societies conceptualize institutional old-age provision.